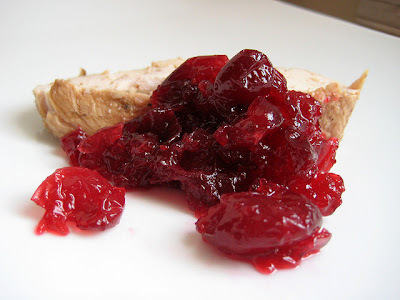 Who can think of roast turkey without cranberry sauce to accompany the meal? Even if you don’t like it, I’m sure the condiment was present at nearly every family gathering, be it Thanksgiving, Christmas, and more. Thanksgiving is an unusual holiday in North America because it has no "fixed" calendar date. Canadians celebrate on the second Monday of October and Americans on the fourth Thursday of November. Thanksgiving is a blend of Native and European traditions and celebrates the harvest, family and friends. In the time of the New England Pilgrims, celebrating the harvest was a time to thank God for the bounty of the season. Since cranberries are plentiful at this time of year, they are drawn into the celebration. It’s very difficult to misidentify cranberries. They’re quite unique. It is best to allow a frost or two to happen before picking as that helps develop the red colour and some additional sweetness in the fruit. brightened the red colour of the berries. Don’t be misguided by the Ocean Spray commercials that show the gentlemen standing in the water. Those are cranberry washing/holding pools, not growing fields. 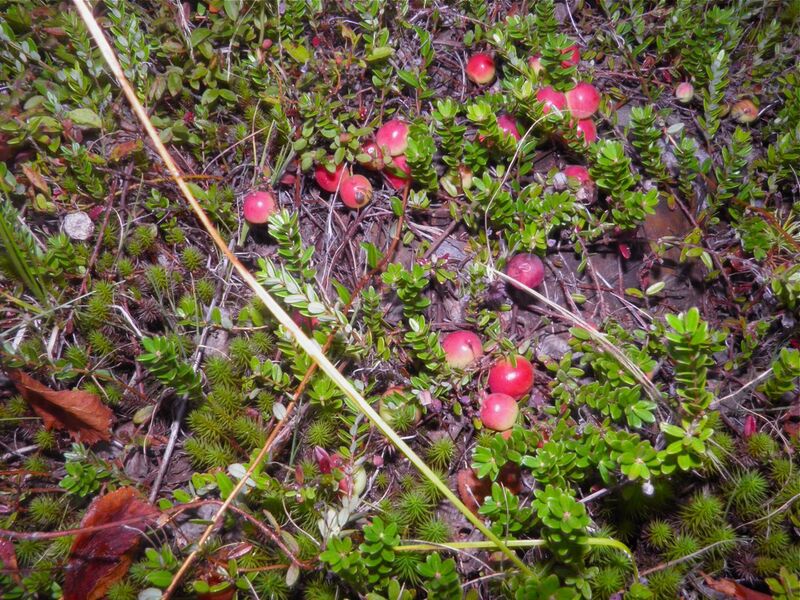 Cranberries may grow in slightly boggy areas but often at this time of year those areas are nearly completely dry. 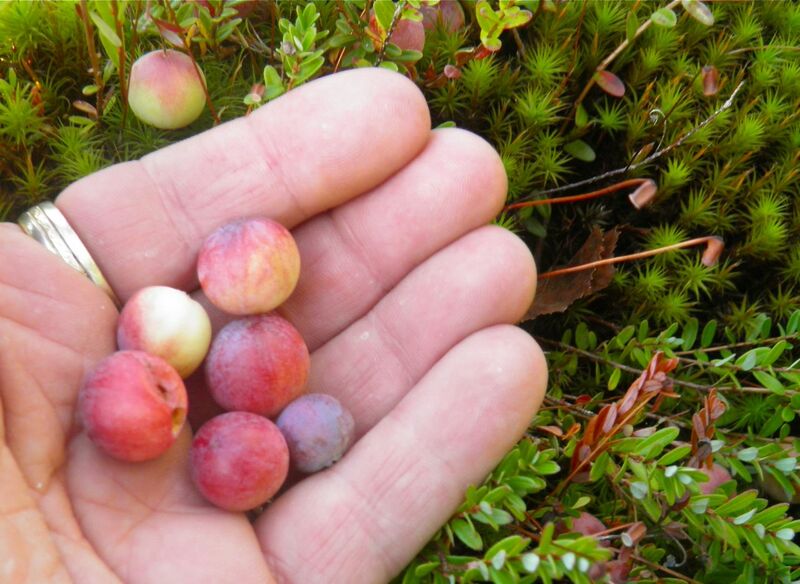 You can easily forage for cranberries in sneakers. Since the 1900s there has been increased interest in cranberries from a nutritional standpoint. They have been found to contain phytonutrients such as flavinoids, as well as having great antioxidant properties. One half cup contains 10% of our daily requirement of Vitamin C. Recent studies have shown that drinking cranberry juice daily can reduce "bad" colesterol and increase good. Cranberries help stop urinary tract infections and a recently discovered compound in the fruit helps reduce the buildup of plaque on the teeth. These are just a few of the benefits of cranberries in the diet. Companies market them as a "super fruit" and obviously with good reason. a wonderful landscaping plant as well as a source of edible fruit. Highbush cranberries are Viburnum trilobum, which are a completely different genus than cranberries. They grow on a shrub which can reach 8 feet high. 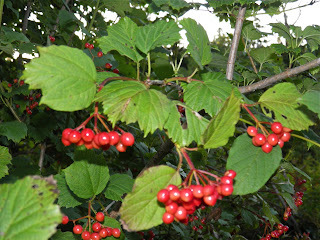 The berries are borne from flower head clusters that resemble flattened snowball bush flowers (Viburnum opulus). As you can see the plants are closely related. 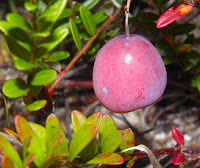 I understand that highbush cranberries can be substituted for "normal" cranberries in recipes, but I want more research under my belt before I recommend doing so with confidence. Supposedly they should be consumed only in small quantities. Regardless, one thing I have learned is that the one large seed must be removed before they are eaten. 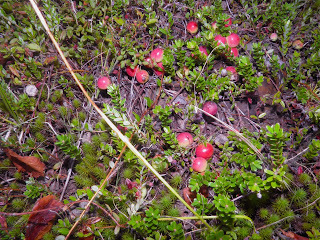 I’ll probably be tasting these “cranberries” very soon as they are nearly ripe. Cranberries are a must-have at nearly every extended family gathering. They complement turkey (even more so if it's dry…) and are a wonderful way to incorporate the best of the season at your table. Of course, you don’t actually have to forage in the bogs to get your cranberry fix. A forage to your local grocery store will yield the same result, and they’re available fresh or frozen year round. Part of the fun of foraging are the bonds that form with your family and friends. That’s something they will never be able to sell at the grocery. Honestly, although quite good, canned cranberry is no substitute for homemade… It only takes you about 8 minutes. You should really give it a try! Wash the cranberries under cold water, removing any leaves or undesirable berries. Combine all the ingredients, except for the Grand Marnier, in a medium sized sauce pan. You can substitute water for the orange juice, but the juice complements the cranberries very nicely. If desired, go the extra mile and squeeze fresh. It should only take two oranges. 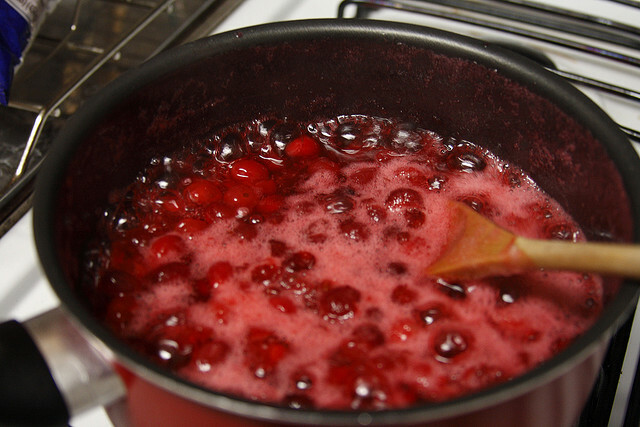 Bring the mixture to a boil and simmer until the berries pop open which may take upwards of 5-10 minutes. Let them cook for a minute or two more. The natural pectin in the cranberries will thicken the sauce when it cools. Remove from the heat and stir in the Grand Marnier, if using. If putting up in jars: Place the hot sauce in small sterilized Mason jars and process in a hot water bath for 15 minutes. Remove and let cool until the tops pop closed and the jars seal. If using within a few days: Chill the sauce in the refrigerator until ready to serve. *If you're foraging cranberries yourself, pick lots more than what you need for this recipe. Simply pick clean, wash and freeze. At any time throughout the winter you can have cranberries at hand!